3×2 nodes Intel Xeon Dual-Core 3,00 GHz y FSB 1333 MHz. 11×2 nodes Intel Xeon Quad-Core 2,93 GHz y FSB 1066 MHz. 32×2 nodos Intel Westmere Six-Core 3.00 GHz y FSB 1333 MHz. 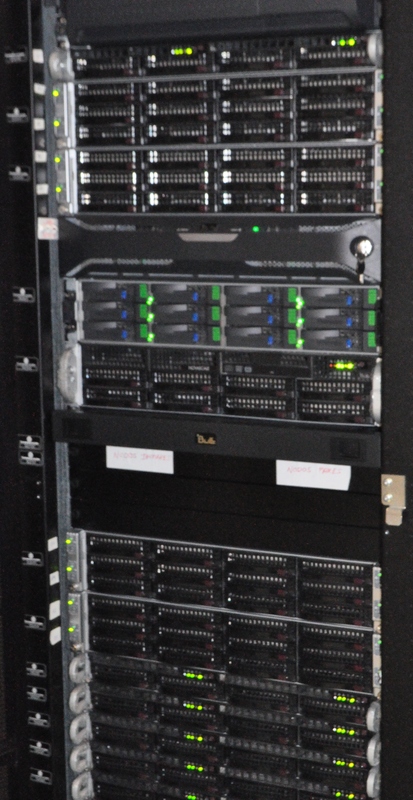 In addition, the clusters contain a redundant storing system of 67 Tb.